Watford showed why they are higher in the Premier League than the Magpies as they dominated the game from start to finish. 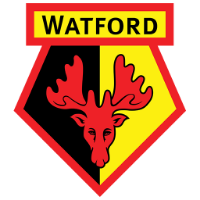 In a game where both sides lacked quality, it was Watford that were clinical enough to take their chances when they arose. Andre Gray opened the scoring for Watford smashing the ball past Freddie Woodman at his near post. Isaac Success added a second at the death with a simple finish from less than five yards out. Will Hughes picked the ball up with no Newcastle United player within 10 yards of the midfielder as he played a perfect ball through for Gray who made no mistake with the finish. Domingos Quina found himself with plenty of space down the left to square for Success who had the easiest of finishes to slide the ball home booking Watford's place in the fifth round of the FA Cup. Watford forced Woodman into an early save with Quina unleashing a shot from 20-yards out and Woodman did well to push the ball over the bar. The Hornets went close again early on with Nathaniel Chalobah sending a free kick just fly over the bar with Woodman looking beaten. The Magpies got themselves into good crossing positions but more times than not the crosses were either overhit or aimless. 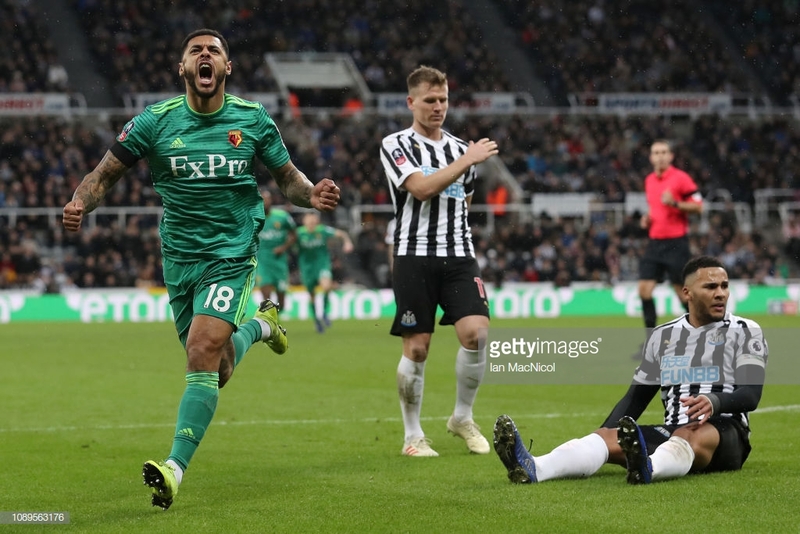 Watford started the second half like they did the first as Gray was played in behind the Newcastle defence but was under pressure and smashed a half volley way over the bar. Javier Manquillo attempted to replicate what Fabian Schär did against Cardiff City as he ran past four Watford players before lobbing over Heurelho Gomes before Ben Wilmot managed to clear the ball off the line. The Magpies never looked like troubling Gomez in the Watford goal as they struggled for movement and ideas upfront. Salomon Rondon offers a lot more than just goals to Newcastle as his hold up play brings others into the game which allows Newcastle to get higher up the pitch quickly. When Joselu plays he struggles to keep ahold of the ball and hold off defenders like Rondon can which is why Rafa Benitez did not want to risk the number nine in the FA Cup. On a day where Jacob Murphy and Kenedy had been given a rare chance to start a game for the Magpies, they failed to impress as they struggled to offer anything to the game. Both wingers struggled for creativity which hindered Newcastle as they had to play through the middle and Watford were comfortable to keep the Magpies out. Benitez will be desperate for new signings especially at least one winger as Christian Atsu and Ayoze Perez are the only players who are offering anything when they play out wide. It was an overall poor display from both sides but Chalobah was great in the middle of the park for the away side as he drove forward whenever he got the ball as well as keeping the ball moving constantly. The England international looked a class above the rest as he dominated Sean Longstaff and Isaac Hayden in a game where Newcastle struggled to gather any momentum.